This post has been viewed 762 times. More instanity from Russia. 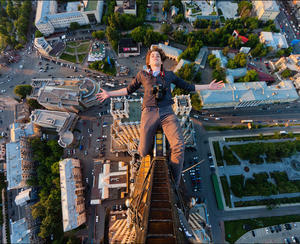 Take a look at the photos that these Russians captured while climbing one of the highest points in Moscow. – Bill Cosby, an American comedian, actor, author, television producer, educator, musician and activist. Bill is also a veteran stand-up performer.